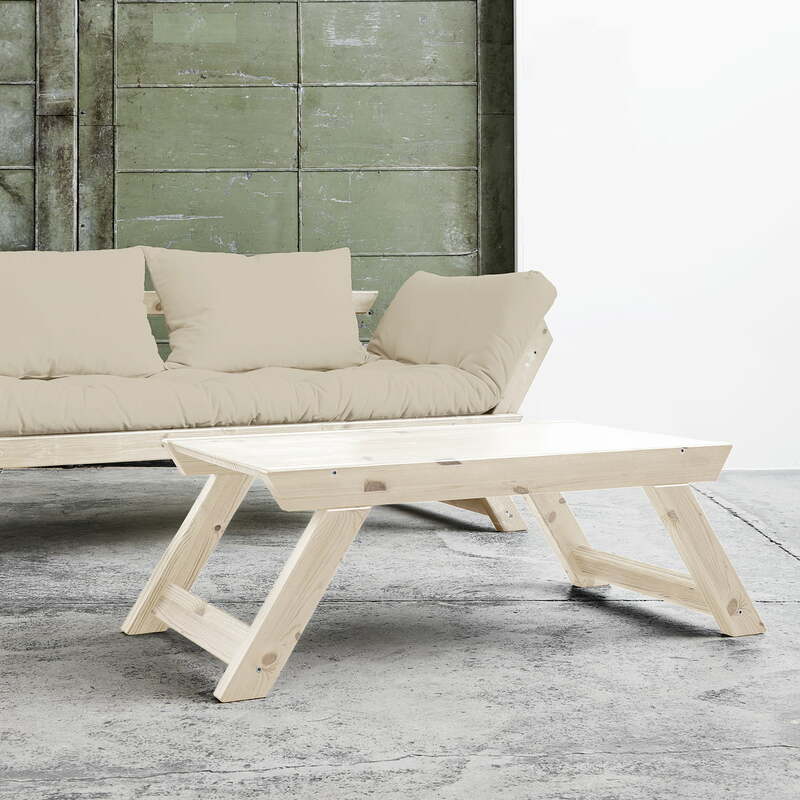 The Bebop coffee table is part of the same name series from Karup and impresses with its minimalist look. It was designed to go with the Bebop sofa and has the same frame with the slanted legs. The frame of the Bepob consists of FSC certified wood, which is available in various untreated or varnished colours. 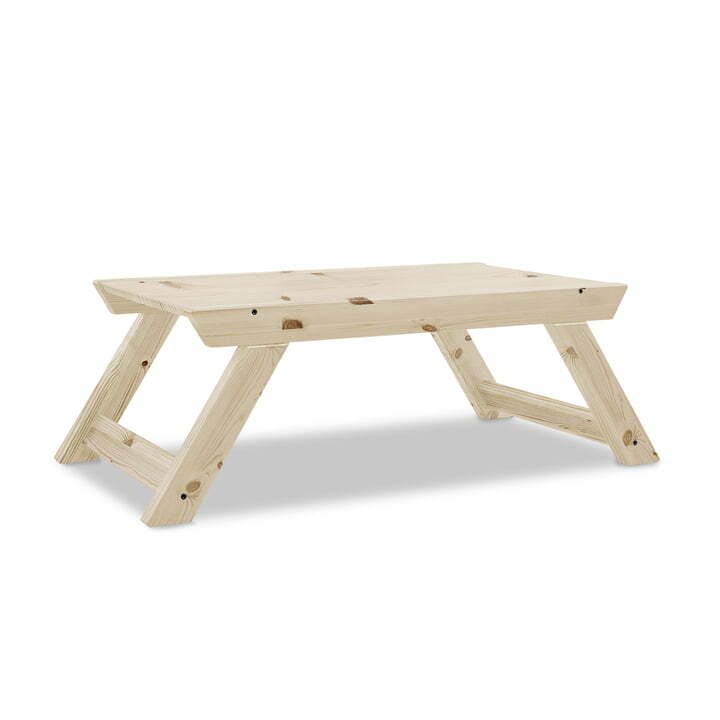 Individual product view of the Bebop table by Karup in natural pine. The frame of the Bepob consists of FSC certified wood, which is available in various untreated or varnished colours. The Bebop coffee table is part of the Bebop series from Karup and impresses with its minimalist appearance. It was designed to go with the Bebop sofa and has the same frame with the slanted legs.